Raid Battle Closed Beta is NOW Up! A new challenge has come in Grand Gaia. Prepare as Raid Battle Closed Beta is finally here. Starting March 2, 21:00 PST (and will run for approximately 5 days), test your might and skills, form your strategy, coordinate and fight alongside other Summoners. Head to the Raid Battle NOW and overcome the extreme challenges that awaits you. 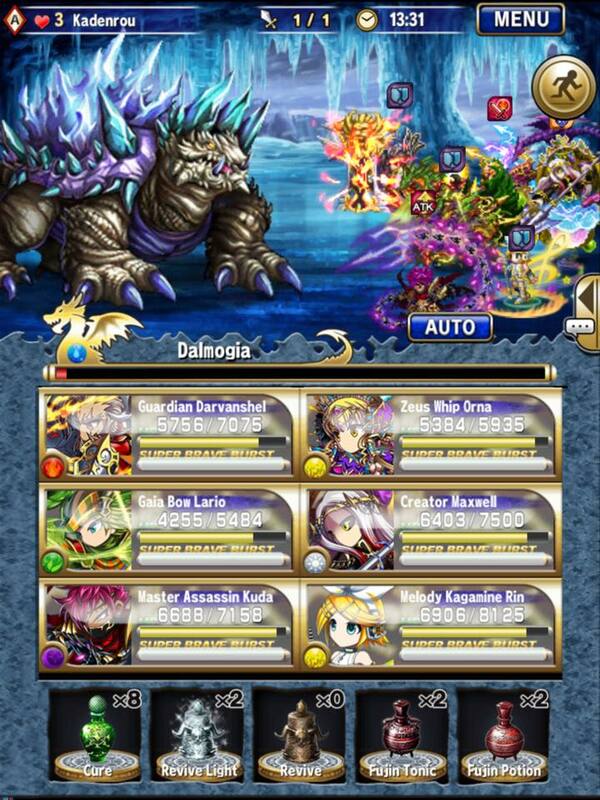 • This is only the Raid Battle Closed Beta, limited to 10,000 randomly selected users. • List of the 10,000 Raid Closed Beta testers can be found HERE. • Currently no level limitation, but on the full launch, there will be minimum requirement of level 100 to enter Raid. • Progress (RC, unlocked quests) during the Raid Closed Beta will be retained and can be continued on the full launch. Good luck and have a great time, Summoners! Problem: Unable to complete the objective for Moize Plains Lv. 1. After killing Edelma, no "area Complete" message is flashed. If you keep your player on the Edelma's square, he keeps respawning after a small delay. Issue description: Cannot access raid battle. When clicking the icon, the screen goes black for a minute and then returns to the home screen. I was one of the selected beta testers. Occasionally when I enter a room, it says "unable to retrieve room data" or "unable to retrieve user data"
Edelma is glitched. Every time the boss is killed it ends up in an endless loop of repeatedly fighting it over and over. Sure, you go back to the map, but the mission does not end. You just fight him again at the same spot. Cannot complete first mission despite beating the boss multiple times. Unexpected error when "Beacon" was used and as what the others experienced, Endless loop of Edelma Quest. Much like everyone else her, cannot defeat overworld bosses and it's perhaps the first of many issues to come. Only the Granomos mission works at the moment considering they're random encounters. RC1 mission 1 Fire Eater boss Edelma is unbeatable, have fought him more than 5 times already. 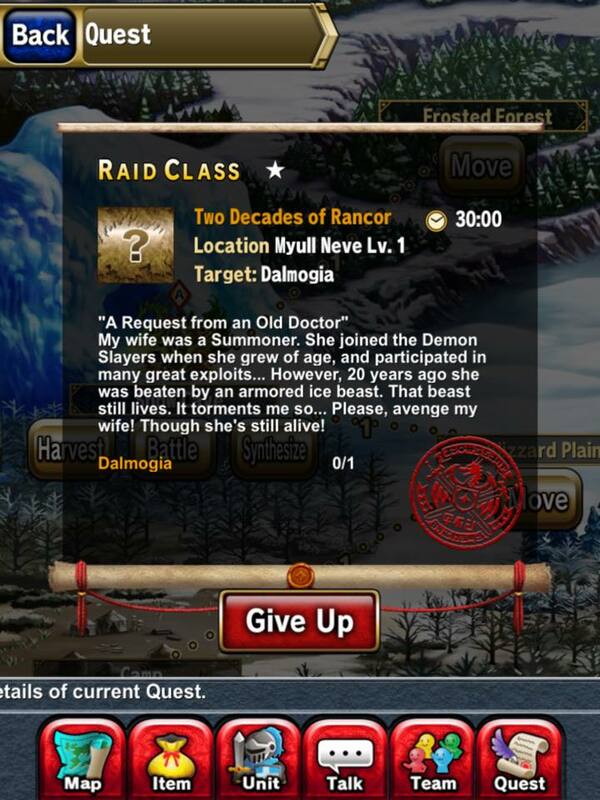 Issue: I have killed Dalmogia on Raid 2nd quest more than 6 times but it won't let me win and move on. . .guess it is bugged right now. Issue: Unable to clear quest. Stuck in an endless loop where the raid boss comes back to life even after defeating it. Edelma is glitched. Every time the boss is killed it ends up in an endless loop of repeatedly fighting it over and over. 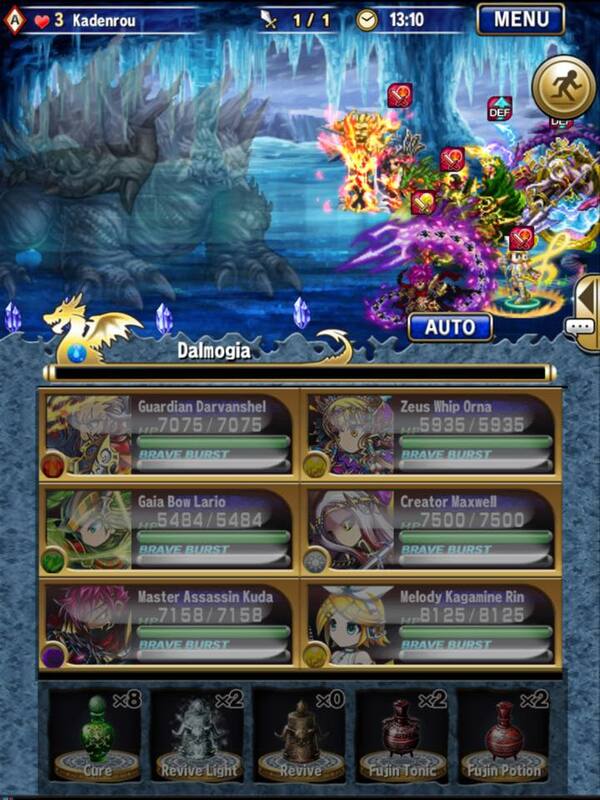 Problem: Quest 2 Boss Dalmogia after being defeated isnt updating the quest mission. Issue: cannot access raid battle. When clicking the raid battle icon, the screen goes black for a second and then backs to the home screen. ISSUE: Same as what other have been experiencing above. Boss kills are not recorded, thus the quests does not end. Also, after a set period of time, "dead" boss will respawn and auto-engage you when you stay on the same spot for too long (roughly between 10 secs - 1 min). Boss issue the same with all others. Everything else is fine for now. Connections are quick (Well, we only have 10k players on raids), Harvesting is how it should be, sythesizing is the same. Will keep an eye out on other issue. Issue: Despite killing the boss in the first quest, the quest is not completed. Issue 1 : Defeating boss does not clear the quest, boss keeps reviving after a short delay. Issue 2 : Edelma's attack name display remains on-screen even though Edelma's turn ended. After the boss dies on raid battle 1 quest is not completed and respawns after a short while.